I keep hoping to do a nice long blog post about all the exciting stuff happening on the sheep farm. But all the exciting stuff is also keeping me super busy, especially when you add it to all the other things I am working on for crochet designs/classes, needle felting designs/classes and summer break family stuff. In spite of all the madness, I am very happy I decided to become a partner with the sheep farm. Every time I go over to the farm to help with our flock I am smiling. This spring we have 11 new lambs. They are a lot of work but also great entertainment. We will be looking to sell many of our lambs in the Autumn, though we will likely be keeping our 4 ewe lambs. Next year, if all our mature ewes have twins, we will definitely be looking to sell some of our sheep to other farms. We had 3 sets of twins this year, plus a 4th set with only 1 survivor. The rest of our lambs were singles. We have a fairly wide range of ages of lambs with most of them being born in mid to late May. 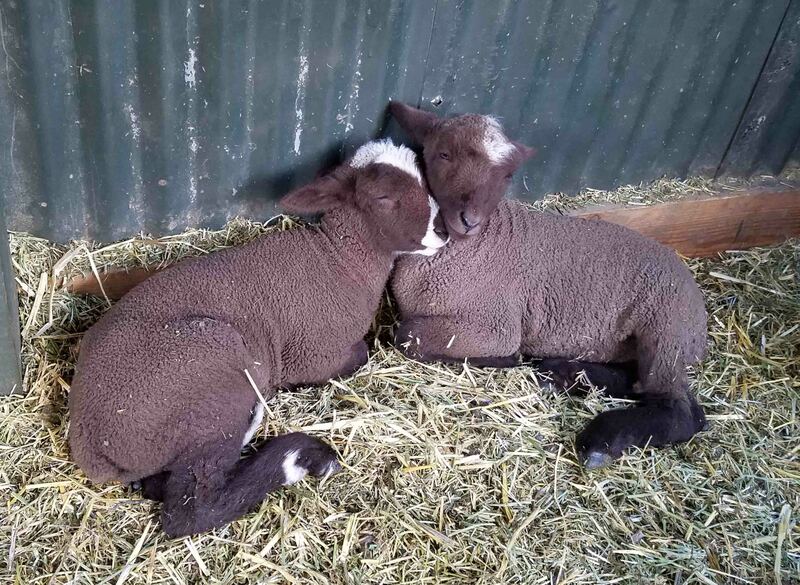 One set of twins came the last week of March and our last lamb came this past Friday, June 22. I’ve been enjoying all the lambs, but these 2 are my favorites. We are calling them Cedar and Cinnamon. They both love getting scritches on their chins and ears. They also tend to snuggle with each other a lot. The lambs all nurse from their moms, but after just a few days they start nibbling on the hay and lamb feed. They especially seem to like to snitch hay thru the fences when we have birthing pens set up in the barn. 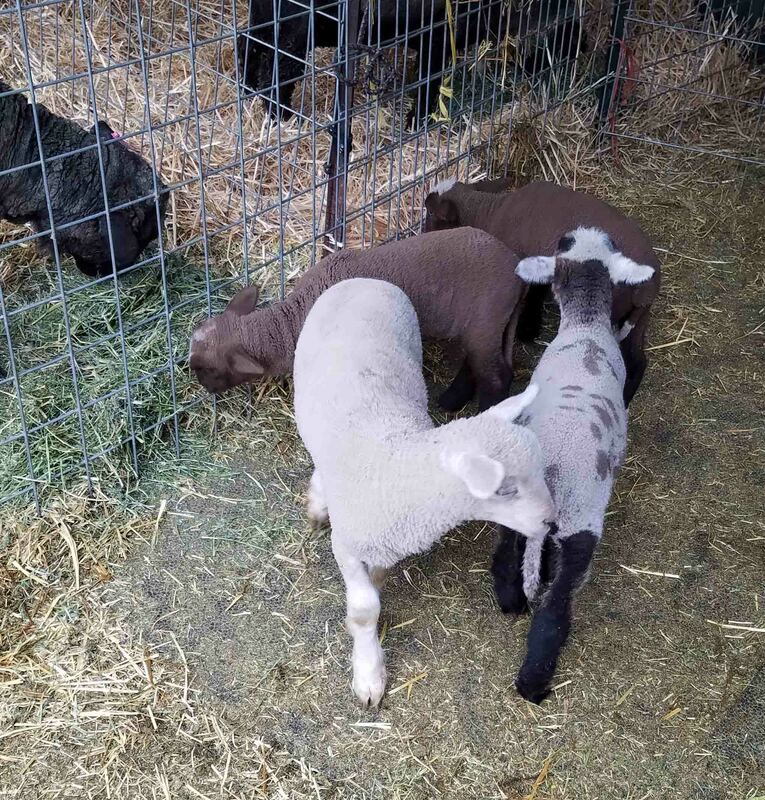 That white lamb in the front is Aspen and the grey multi-color lamb is Larch (or Andre the Giant as my partner calls him). Larch is 2 weeks younger than Aspen and they are almost the same size. 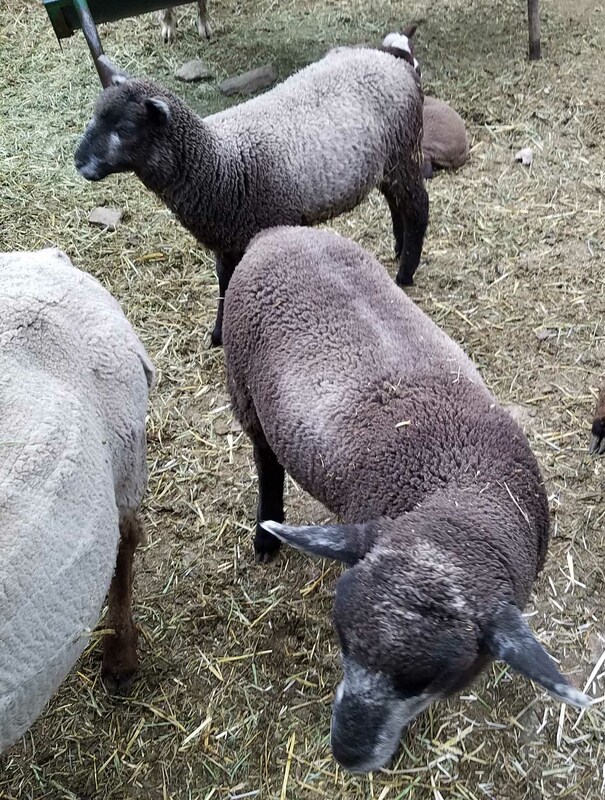 Gertie and Gizmo are our oldest lambs. They were born the last week of March. Gizmo, the male, will be moving out of the ewe pen soon. Both of them are nearly as big as the adults at this point. Since I last posted I have finished skirting and picking the fleeces that are going to be made into yarn. I also made a trip to the Alpaca ranch in Castlerock to get fleeces to blend with our wool. Hopefully I will have all the yarn back by the middle of July. If all goes to plan we will be selling our yarn thru a couple of shops in Colorado before the end of October 2018. « Where did Andee Go? Aww…look at all the cute little sheep!!! Yes, they are very sweet. This is definitely the busy time of year.